We've seen this picture many times. 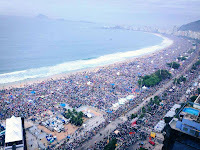 Over three million people gathered on the beach of Copacabana this morning for the final Mass of World Youth Day in Brazil. This "World Youth Day" has lasted a week, and has allowed the world to see Papa Francisco speaking and acting as a pastor in the part of the world he knows so very well. 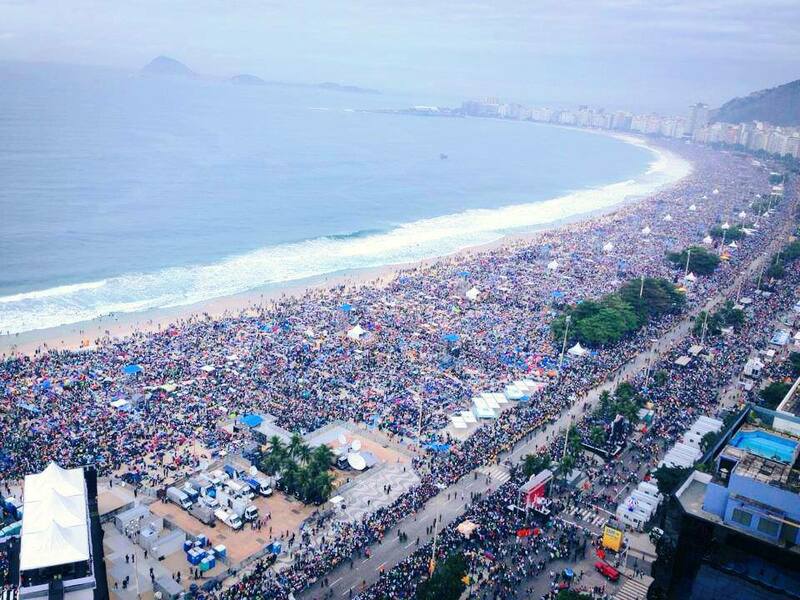 For Pope Francis, this is not just a statistic, or a crowd. These are people. These are human persons. Most are formed by the Catholic heritage and the social ambivalence of the Latin American experience. Their hearts must make real choices today, in an environment that holds forth many possibilities but also turns in so many ways to open violence and destruction. In a lifetime of caring for these people, Papa Bergoglio has learned much wisdom about the heart of every human person, the drama of every human life that is weighted down with so many troubles, pulled on by so many forces, afflicted by so many illusions, and yet called -- in a continual, mysterious, and implacable way -- by the love of God in Jesus Christ which is beyond all measure. He expressed this wisdom in a stunning fashion during his meeting yesterday with the bishops of Brazil. Here especially he has given a reflection that captures his passionate conviction of how the Church (i.e. the Catholic people, each and all of us) must seek out and serve the human person in his or her suffering and failure, struggles and hope. The entire text deserves to be read and pondered. It is concrete and profound. Even though it was addressed to bishops in Brazil, it deserves the attention and truly prayerful consideration of all of us. You can access the whole text through this link HERE to the Vatican Radio website. "We need a church capable of rediscovering the maternal womb of mercy. Without mercy, we have little chance nowadays of becoming part of a world of wounded persons in need of understanding, forgiveness and love."